It’s the 42nd week of the year and the card of the week is the 8 of Pentacles. This week we’ll start to really notice the shift from all the energy moving we did in September. We re-calibrated ourselves, focused and put our will into creating the world in which we want to live. 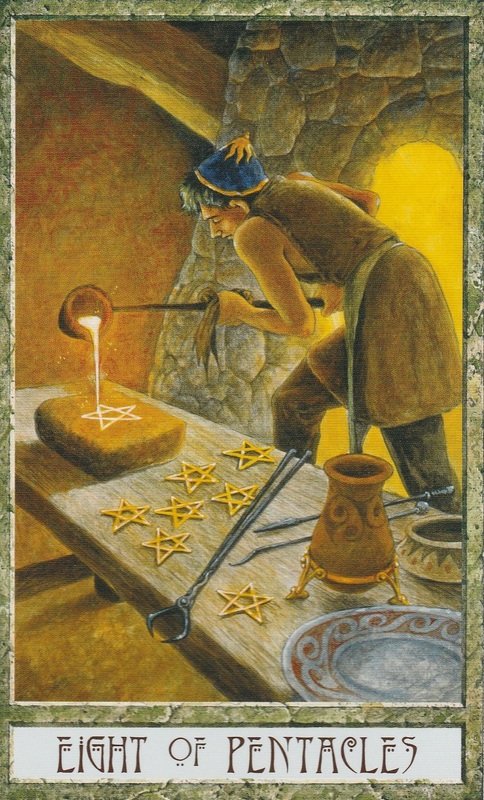 The 8 of Pentacles is focused and hard at work. We need to keep feeding those intentions energy in order for them to spring to life. The number of the week is 6, a number of victory. Mantra: The work isn’t over, we’ve only just begun. 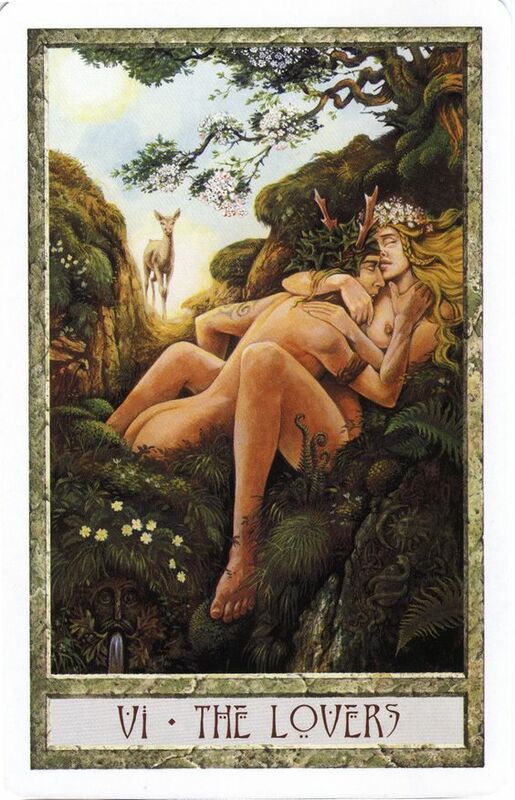 The Lovers is a card that appears when a there is a choice to be made. These choices usually revolve around love and emotions. If you choose the right path, you will find beautiful harmony. But if you choose the wrong path, there will be many struggles. Which path will you choose? Moon sextile Mars at 8:27 PM PST will give you the strength to do whatever must be done today with courage. Trust your heart to guide and let your passion light the way. The Moon is Void of course until it enters Scorpio at 12:43 PM PST. Avoid making decisions when the Moon is void of course. But when the Moon swings from balanced Libra into the passionate sign of Scorpio, expect a boost of creativity. But don’t get so wrapped up in the Scorpio energy that you lose yourself in your emotions. The number of the day is 3, a number of things coming together. 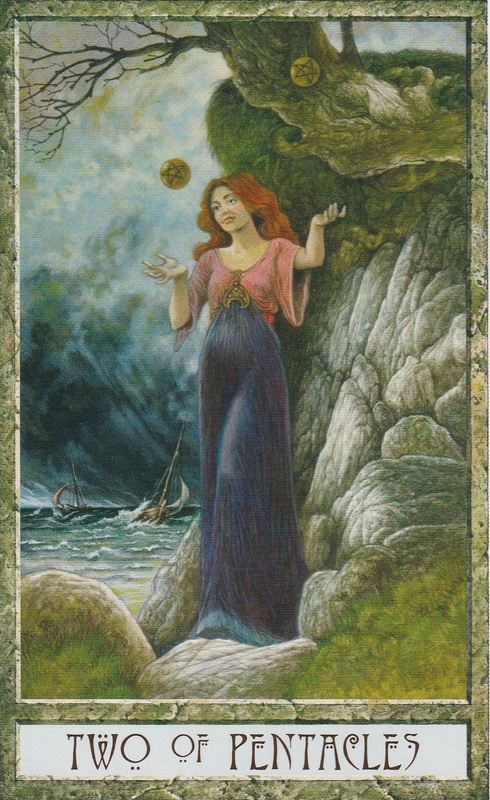 The 2 of Pentacles appears when we have a lot to juggle. If you took advantage of the super powered month of September, you may all of a sudden find that you don’t have time for anything. Things will really be taking off over the next month and this week is going to be the start of it all for many of us. Moon trine Neptune at 8:34 AM PST will guide your intuition as you gear up to start the first work week of the new lunar cycle. Moon conjunct Venus at 1:57 PM PST warmth and affection — even romance — to your afternoon. Moon sextile Pluto at 6:54 PM PST will intensify feelings and could bring passionate sexual encounters. The Moon is in the intense sign of Scorpio for the entire day, so emotions may be amped up. The number of the day is 4, a number of balance. The Queen of Pentacles is the ultimate earth mother. She is a bountiful harvest; a lush garden. She has obtained all the physical things she desires and she is at peace. Whatever the season, winter, spring, summer or fall, she is grateful for all. No matter who the queen represents in your life, take a moment today to be thankful for her nurturing. Sun sextile Saturn at 9:59 AM PST will bring you a productive morning. You’ll have the gumption to roll up your sleeves and “git ‘er done” because you have your eye on the prize. Moon sextile Mercury at 6:04 PM PST will find communication flowing. You will feel a special connection with others and you will attract them to you with your charming, witty conversation. The Moon is in Scorpio until 6:04 PM PST when She will go void of course for the rest of the day. While the Moon is in Scorpio, put your heart into everything you do and you will find that you can attract your desires. The number of the day is 5, reminding us that if you love your life like a gardener loves a garden, your life will be filled with abundance. Mantra: My life is a garden of opportunity. 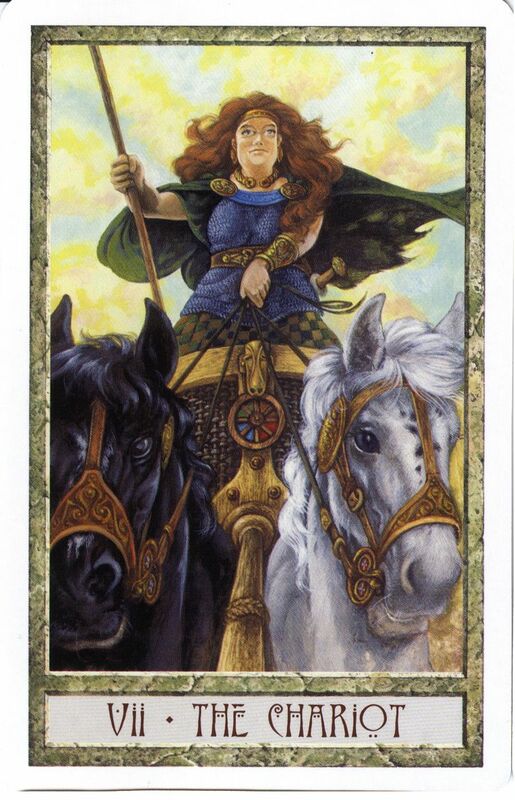 The Chariot appears when we’re ready to move into the future with confidence. Many times, people stay stuck in the past because they choose to be there. There’s something in the past they can’t give up because the fear of the future is greater than what lies ahead. The Chariot calls you to step inside, wave goodbye to what was purged during Mercury Retrograde and say hello to what you’ve manifested. Moon sextile Jupiter at 12:56 PM PST brings good feelings, happiness and optimism for a bright future to your afternoon. Venus sextile Pluto at 2:20 PM PST could lead to riveting, life changing relationships being formed. It’s a day for strong spiritual connections, especially of a sexual nature. Anything begun under this transit has the potential to be intense but will propel you forward. Mars square Jupiter at 2:45 PM PST brings an unexpected stroke of luck. The only downside is that if you’re not focused, you may let this opportunity pass you by. The Moon enters the energetic sign of Sagittarius at 1:26 AM PST giving you the optimism you need to take full advantage of whatever comes you way today. The number of the day is 6, a number of victory. Mantra: I’m takin’ the wheel. 9, 9, 9, 9 — it’s an energy that we’ve become quite acquainted with this year. It’s a 9 year, we just had 2 999 days and 9s have been showing up a lot in the cards. Sometimes when things end, they flow right into new beginnings, seamless, painless and uplifting. This is the feeling that the stars bring us this week if we choose to let go of all the worrying and turn off the fear mongering. 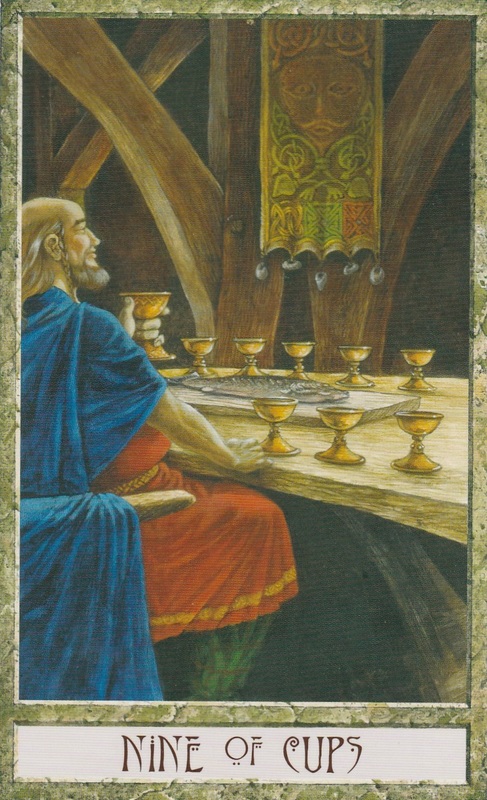 The 9 of Cups invites you to fill the cups in your life with your own personal power and celebrate because we are so blessed to be alive right here, right now, in this time. Moon conjunct Saturn at 1:44 AM PST could tempt you to focus on the what you don’t have instead of what you do. If you’re awake during this time, these themes may appear in your dreams. Moon sextile Sun at 5:02 Am PST won’t find you on the wrong side of the bed this morning. This cheerful transit is sure to clear out any negativity from the earlier Saturn transit. Moon trine Uranus at 11:26 PM PST will bring excitement, love and new people to your life. This is a favorable transit so any surprises should be of a positive nature. The Moon is in the happy-go-lucky sign of Sagittarius until 11:26 PM PST when it goes void of course. The number of the day is 7, a number that asks you to reevaluate you’re life if you’re lacking something and turn that attitude into gratitude. The Ace of Cups is overflowing with love and creativity. 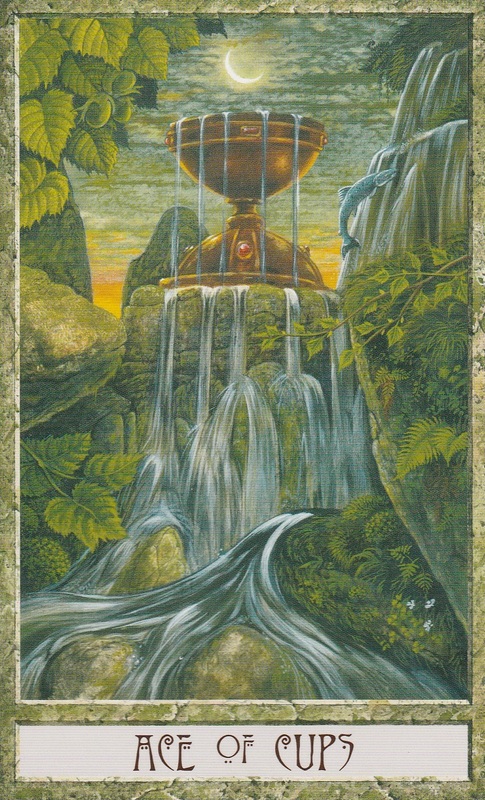 It offers you to welcome new beginnings into your heart and embrace what flows your way. Mercury enters Libra, the sign of balance at 12:56 AM PST where He will stay until 10/24/16. When Mercury is in Libra we will see people taking to the streets in the name of equality. We’re already seen this as we watched Venus, Jupiter, the Sun and now Mercury move through the sign. This is a time when people will make compromises in the name of the greater good. Sun square Pluto at 12:31 PM PST may put so much pressure on you, you may find it difficult to take. But diamonds are formed under pressure. Moon square Mercury at 3:40 PM PST could obscure communication so if you’re having a hard time expressing yourself, take some time alone if possible. 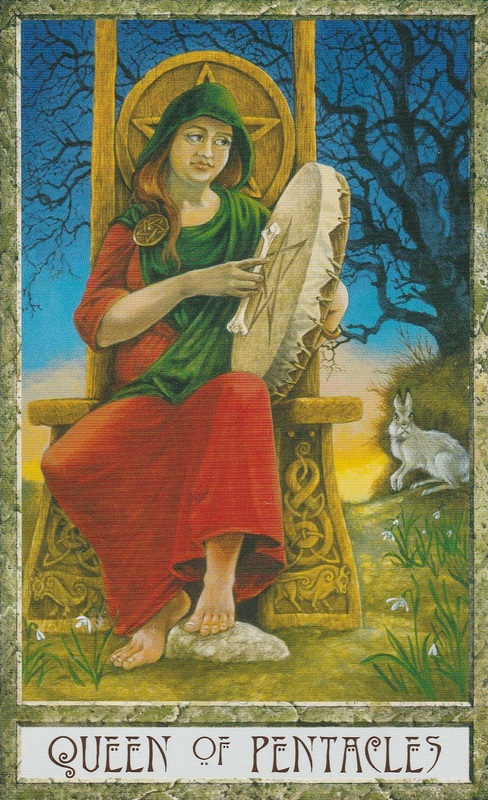 The Moon enters the sign of the teacher, Capricorn, today so whatever happens will teach you an important life lesson. The number of the day is 8, implying that these lessons will be of a karmic nature. Mantra: My heart overflows with love and gratitude, even for the lessons I have yet to understand. 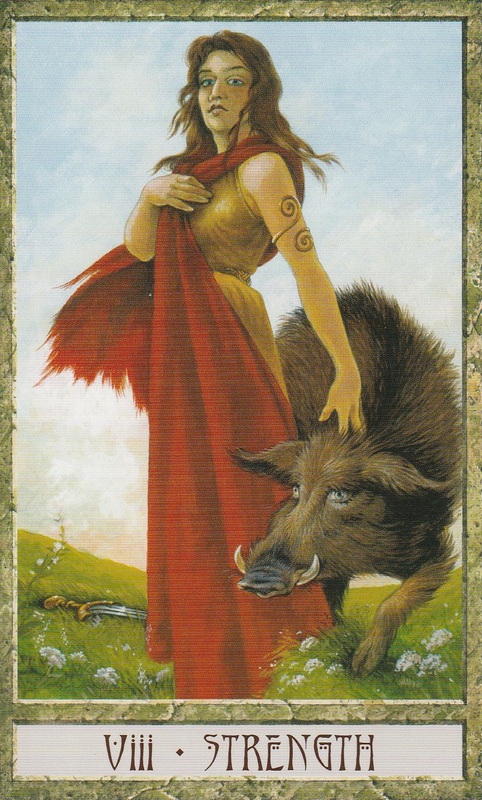 The Strength card appears when we are asked to embrace our own strength. It’s been a wild past few weeks filled with massive energy shifts, strong manifestation powers and rebirth. It is time to honor your path and recognize how powerful and magical you are. It’s truly amazing. Moon square Jupiter at 1:56 AM PST could leave you feeling pretty proud of yourself after all the wins you’ve had lately. Don’t gloat; be grateful. Moon conjunct Mars at 4:18 AM PST may leave you feeling a little too powerful. You can control your temper like the woman on the card controls the beast. Moon sextile Neptune at 8:46 AM PST will find you following your intuition and creative flow. Moon conjunct Pluto at 6:56 PM PST will keep the intensity flowing so stand with your strength inside the storm. Moon square Sun at 9:33 PM PST brings the first quarter. This is where things get a little bumpy in the lunar cycle but it’s early on so most bumps will be able to be smoothed over. The Capricorn Moon deals out harder lessons than the day before but you’re strong enough, smart enough and awake enough to ace this class. The number of the day is 9, a number of leveling up. Mantra: I tame the beast. This entry was posted in art, Astrology, dreams, mysticism, mythology, numerology, occult, self help, spirituality, Tarot, Uncategorized, witchy, Writing and tagged abundance, astrology, card a day, divination, dreams, empowerment, inspirational, magick, manifestation, mantra, meditation, metaphysical, motivational, mysticism, numerology, occult, pagan, predictions, self empowerment, self help, spiritual, spirituality, tarot, tarot reading, tarot weekly forecast, wicca, witchcraft, witchy, writing. Bookmark the permalink.